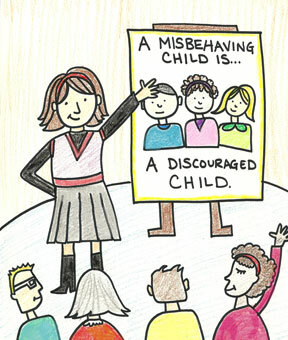 1) You might find the 5 CD Positive Discipline Workshop helpful. 2) You might like to get a few friends and go through the Positive Discipline Workbook together. There is an outline at the beginning of each workbook lesson that can be used as a guideline. You could each get a copy of the Positive Discipline book and follow along. The Positive Discipline Tool Cards are a great supplement. Also, feel free to join the Positive Discipline Social Network, and I hope you will sign up for my newsletter below. Wishing you more joy in parenting with Positive Discipline (remember that mistakes are wonderful opportunities to learn. Sign up for the newsletter and get a FREE copy of the Positive Discipline Guidelines.